This is part of a series of stories on crypto regulation and worldwide adoption by the Cloudbet blog. 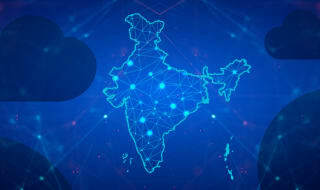 To learn more, check out the curious case of crypto in India, and how crypto contradictions are moving adoption in Brazil. The rate of cryptocurrency adoption in Africa would surprise you. While Africa may not be the first place that comes to mind when it comes to crypto, it is proving to be fertile ground for the advancement of the blockchain revolution. In East Africa, Kenya is making news waves with rumours of a Bitcoin Exchange Traded Fund. In West Africa, Nigeria experiences millions of dollars in trading volumes a week while in South Africa, crypto startups spring up on a weekly basis. Earlier in 2018, African BTC exchange Paxful reported $40 million in monthly trading volume. These are but some of the many examples showing how the blockchain revolution has sprung up in what may seem to some like the most unlikely of places. Cryptocurrencies have several use cases in Africa which offer practical solutions to, among other things, challenges inherent in international transactions with trading partners, payment of school fees abroad, and as a hedge against inflation and a broken banking system. 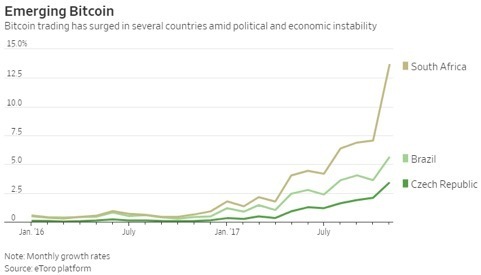 In Zimbabwe, where inflation skyrocketed, BTC was trading as high as $14,000 as it served as a solution to the corrosive effects of economic challenges in the nation. Informally, many businessmen and traders utilise cryptocurrencies to assist in cross-border transactions with their partners in geographical regions such as Asia and Europe. As a flower grows in a dark room, so too does the influence of cryptocurrencies in Africa. 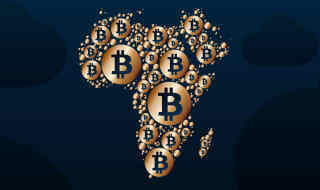 If bitcoin is the sleeping giant, then the world may indeed be on the brink of an era where two sleeping giants, Africa and bitcoin, foster an alliance that changes the lives of 1.2 billion Africans. Not only will Africans benefit from a blockchain empowered Africa, but also the world will benefit from a blockchain empowered Africa where greater financial inclusion, democracy, transparency, and trust are achieved. 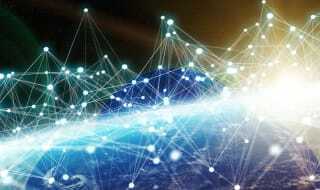 To attain great heights of blockchain-enabled human development, Africa requires the foundational support of regulations. With suitable regulations, African States have an opportunity to encourage adoption of cryptocurrencies, as well as support the creation of innovative technologies in the space. Regulations, often seen as a double-edged sword for the progression of many industries, will be the key to adoption in Africa. Regulations made in African States, however, are a complex business and highly dependent on the agendas of the respective governments. A report by African Bank EcoBank shows that most governments in Africa are taking a “wait and see” approach to regulations of cryptocurrencies. More than half were yet to take a public stance on them, despite the same report outlining a “significant presence” of crypto in at least 36 countries. The slow pace towards regulation is due in part to a lack of understanding of the intrinsic nature of cryptocurrencies. Without adequate knowledge of their potential benefits, many governments are yet to make any effort to regulate them. To be fair, at least as of yet, the majority of Africa’s population have yet to hear about - or use - cryptocurrencies. However, as more Africans proceed to use them, it is likely that a more proactive governmental approach will follow as benefits such as tax revenue become increasingly apparent. Existing regulations in each nation in Africa differ by the nature of the country’s existing laws, beliefs and political systems. Let’s take a look at some of the continent’s powerhouses: South Africa and Nigeria. 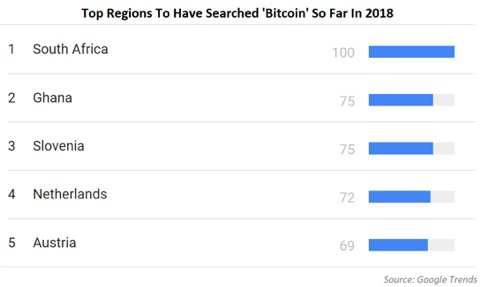 According to the report by EcoBank, South Africa is leading the regulatory race and had the most crypto-friendly approach in the continent. In as early as 2014, South African Reserve Bank released a position paper on virtual currencies which seemed promising. VCs [Virtual Currencies] pose no significant risk to financial stability, price stability or the National Payment System. However, end-users, whether individuals or businesses that accept VCs and businesses involved in the VCs are cautioned that any activities performed or undertaken with VCs are at their sole and independent risk. Fast forward five years and South Africa has introduced draft tax legislation and a consultation paper on cryptocurrencies. South Africa’s policies indicate cautious optimism by the government. On the one hand, the government stands to increase its tax revenues. On the other hand, it is considering a “crackdown” on the more anonymous crypto-assets. The consultation paper requires crypto-asset providers to comply with KYC (know-your-customer) and AML (anti-money laundering) rules, which include identifying customers and knowing their addresses. Service providers would have to monitor and reports suspicious transactions which could require more personnel committed to such roles and potentially impact the privacy of users. By making it easier to identify users of crypto-assets through such regulations, the government intends to better assess tax payable by owners of crypto-assets. Published in collaboration with the National Treasury, the SA Revenue Services (Sars), the Financial Sector Conduct Authority (FSCA), and the Financial Intelligence Centre (FIC), the consultation paper provides a set of rules that requires crypto-startups to register with government to conduct business. These rules aim to achieve greater accountability in the sector, as registered crypto-businesses, aware of supervision, may carry out better internal compliance processes that better protect consumers. Additionally, users of companies such as crypto exchanges may be held under more strict supervision - which may lead to more tax reports on crypto being filled. Regulations of cryptocurrencies in South Africa may increase mass adoption, as more people perceive them to have legitimacy on account of the approach by the government. On the flipside, this is likely to increase regulatory costs of crypto-asset providers in Africa, which could be transferred to end users of regulated services. There are other challenges associated with regulations of cryptocurrencies in South Africa. The fact remains that a shadow economy exists in the cryptosphere which is not easily measured or regulated by the government. Over-the-counter trading and remote exchanges that choose not to report taxes are just some of the elements of that. While useful for tax revenue and consumer protection, regulations can be very hard to implement. Also, if too strict, they may lead to the stifling of innovation with companies choosing to take their business elsewhere to regions such as Mauritius, where laws are more business-friendly for crypto-startups. On the other hand, South Africans are more than open to informal forms of finance. Cryptocurrencies will be no different. In the West of Africa, Nigerians are no strangers to cryptocurrencies. Even during the bear market, it was reported in 2018 that over $4 million dollars in cryptocurrencies were traded on a weekly basis in the region. If OTC trades were also taken into account, the figure would certainly be much larger. Nigeria’s approach to regulation of cryptocurrencies has been mixed but very much based on that same “wait and see” attitude. The government has issued warnings on the volatile nature of cryptocurrencies in the past, but has not issued a ban. It did however release a draft for a licensing regime that could increase the minimum shareholder funds for fintech companies to as high as $15 million. This is a measure which could, if enforced, prevent a lot of local companies from entering crypto markets. 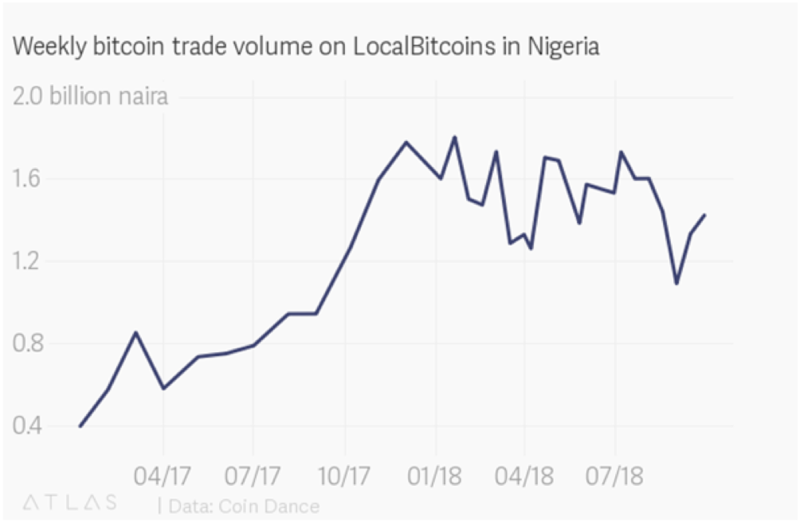 A lack of competition in the provision of goods and services in the cryptocurrency space in Nigeria could be bad news for prices. Consequently, cryptocurrency users in Africa may suffer from higher costs and/or inefficiency of services. 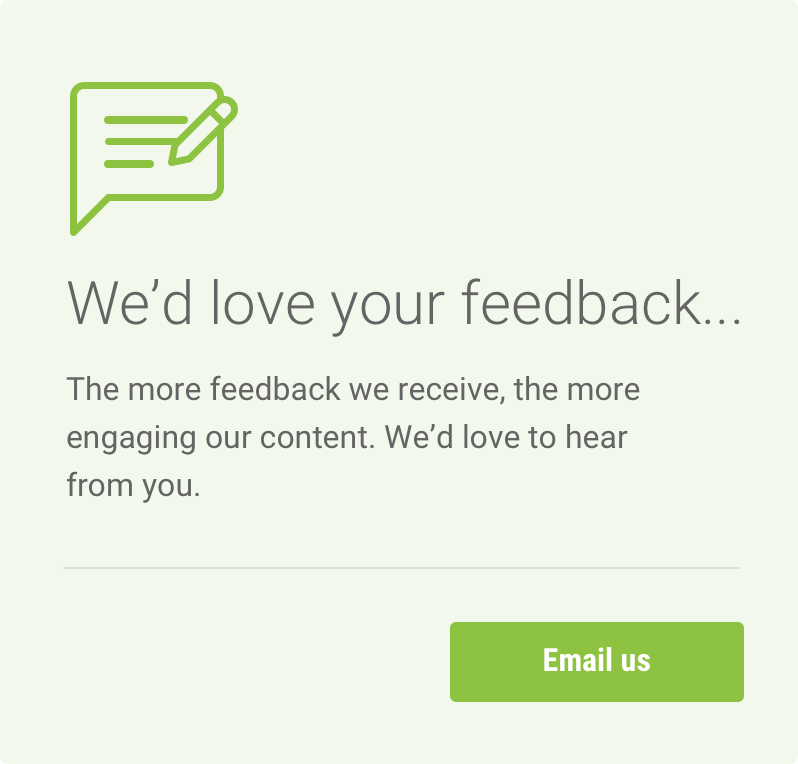 Being a global phenomenon, users are likely to utilise platforms based abroad which are under less regulatory uncertainty. For example, foreign exchanges such as BRD and Binance are freely available in Nigeria, while remaining outside from direct oversight of Nigerian regulators. Again, the shadow economy may prove to be too great for regulations to restrict the eventual mass adoption of cryptocurrencies. In Nigeria, a shadow economy exists in food markets, clothing markets, and other industries where the measure of economic activity cannot be ascertained formally. This of course makes it incredibly difficult for lawmakers and the executive to implement their own restrictions and rules on cryptocurrency use. In Benin city, for example, many informal cryptocurrency trading booths are popping up which, due in part to the lack of awareness by police in the region, operate freely. The decentralised nature of blockchain and cryptocurrencies is such that it is almost impossible for a regulator to have full oversight. Even in formal economies, regulation of the financial system has limited success. To this end, it is clear that the insurance against fraud and lack of transparency is the blockchain itself. This is why so many more people continue to adopt cryptocurrencies in Africa. The blockchain gave the world a hand-held bank. From a phone, a transaction can easily be made with little worry. The security of blockchain networks upon which cryptocurrencies run will be the driving force for adoption in a continent where people do not trust centralised banks due to a history of inadequate customer service and malpractices. As awareness of the benefits of cryptocurrencies grows, adoption of cryptocurrencies will grow in Africa. The desire to utilise a life-changing technology that presents a change in the dynamics of finance for billions of lives is likely to outstrip any regulation that is presented. Regulation can be attempted, but if necessary regulation can also be outgrown. Calvin is passionate about blockchain and its potential to change the world in positive ways. He hopes to continue spreading blockchain good news and contributing to the adoption of a sounder medium of exchange, trust, and accountability. 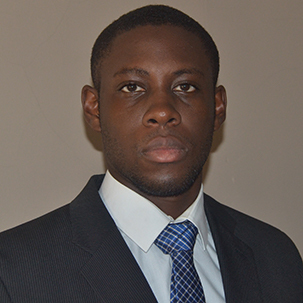 Calvin enjoys researching and writing about projects and regulatory developments in the blockchain space.